This time of year the farms on the way there are busy working their fields processing hay. Today I passed a field filled with round hay bales waiting to be loaded by a tractor working not far away. On the ride home they were gone. Many mornings I see something that I think would make a great photography but don’t get out of the car. I’m on a mission to get to the cabin to get the most out of the day. Today I’m glad I took a moment to stop. Last week, near the same field I saw a barn that I always wanted to photograph. the field in front of it was a deep green charged with morning light. 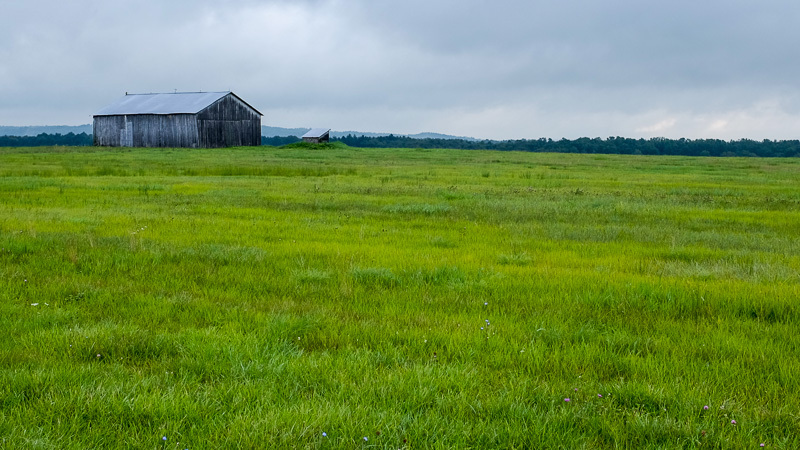 I liked the stark contrast between the grey barn and the field. I was going back to my car after taking a couple of photos and looked at the field across the road. 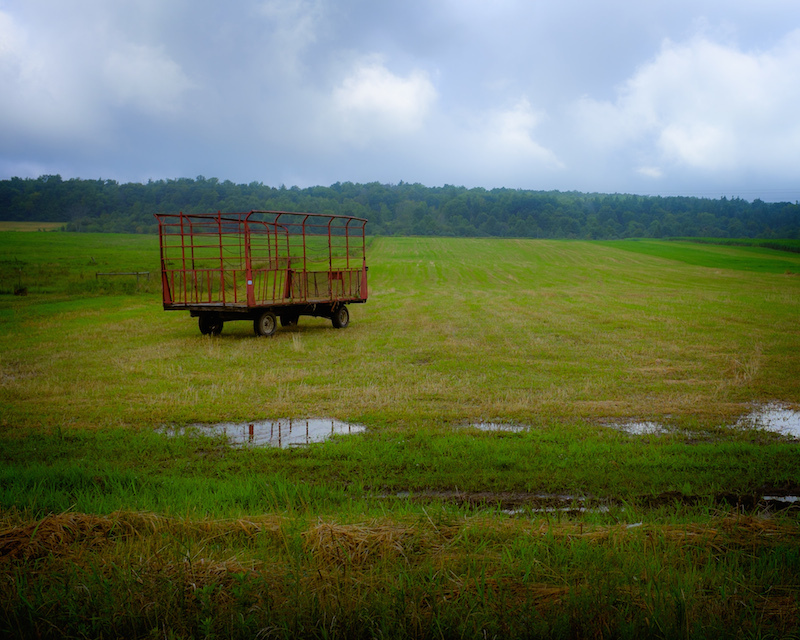 An empty hay wagon sat. The red frame stood out. I took several more photos and continued my trip to the cabin where I spent my day working on our never ending list of projects. One of my goals is to stop more often and take the photographs I want to instead of putting it off and concentrating on my chores. It’s a balancing act that I am trying to manage. All photos were taken with my Fujifilm x100s.